This summer, two weeks before I moved to Los Angeles from my native Chicago for graduate school, doctors diagnosed my great-aunt Margie Britten with cancer. Two months later, she went into hospice care without much time left to live. My great-aunt was the quintessential Black matriarch; she was strong, smart, resilient, and fiercely loving. As I listened to her voice on the other end of the phone, I felt guilty. I couldn’t stop apologizing for not being home, in Chicago, with her to say my final goodbye. For many Black scholars, our careers in research are not an individual endeavor. We bring the lessons, hopes, and dreams of our communities with us into the ivory tower. While reading sociologist and poet Eve L. Ewing’s new book, “Ghosts in the Schoolyard: Racism & School Closings on Chicago’s South Side,” my great-aunt’s words echoed throughout each chapter. Too often, the academy values objectivity; discouraging us from seeing ourselves in our research agenda. Ewing consistently resists this trap. She is a Black woman from Chicago who knows the Chicago Public Schools (CPS) system intimately as a former student, teacher, researcher, and community member. These experiences uniquely position her to provide a critical analysis of the 2013 CPS school closings. “Ghosts in the Schoolyard” shows what’s possible when researchers honor the connections and commitments they have to their community. “Ghosts in the Schoolyard” tells a specific story of Black Chicago; one that many of us have lived – and continue to live – as frustrated Chicago Public Schools students, parents, teachers and community members, but one that is rarely explored in ways that honor the wisdom that already exists within our community. Ewing uses field observations, document analysis, and interviews with community members in Bronzeville – a historically majority-Black neighborhood on Chicago’s South Side – to more deeply understand their thoughts about the CPS schools shuttered by Mayor Rahm Emanuel in 2013. Ewing begins the book with a poem by renowned poet and historic Bronzeville resident, Gwendolyn Brooks. Brooks’ poem, “The Pool Players”, like “Ghosts in the Schoolyard” is an attempt to engage with ideas about the futures and possibilities of Black youth in Bronzeville. 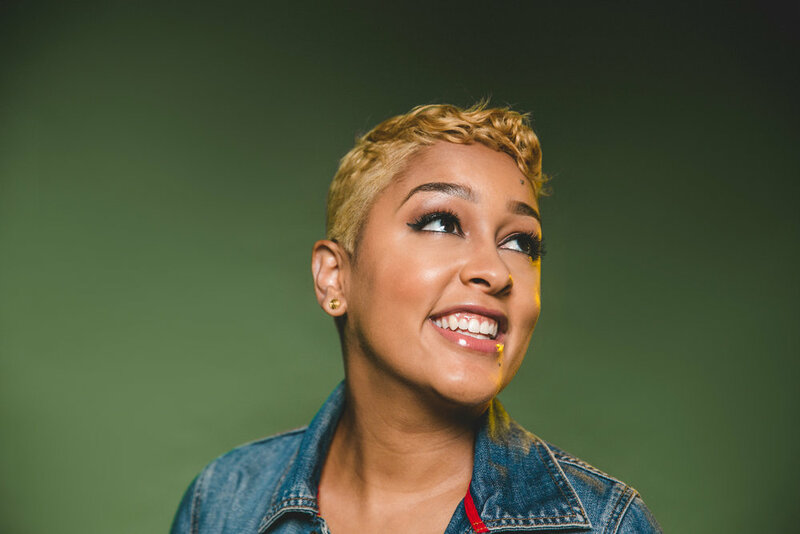 We’ve had a glimpse into Ewing’s talent for writing in her critically-acclaimed poetry book, “Electric Arches,” which features multiple artistic expressions to capture the beauty and complexity of Black girl/womanhood. Ewing is known for her mastery of striking and beautiful prose, and “Ghosts in the Schoolyard” is no different. Throughout the book, she leans on the voices of students, parents, teachers and the neighborhood to construct a powerful counternarrative to the dominant portrayal of Black schools, students, and community as ‘failing’ and not being worthy of investment. According to CPS at the time, race had nothing to do with the school closings; instead, closing “underutilized and under-resourced” schools was a necessary step towards ensuring greater equity for Chicago’s most vulnerable children. However, Ewing brilliantly makes a case for the alternative by situating the proposed school closings in the broader struggle for Black liberation in the face of racist social policy and discrimination. “And then there was the question of race. Of the students who would be affected by the closures, 88 percent were Black: 90 percent of the schools were majority Black, and 71 percent had mostly black teachers – a big deal in a country where 84 percent of public school teachers are white,” Ewing highlights. Using what she’s learned from Bronzeville community members, Ewing reimagines how the Chicago public education system can become spaces of equity and justice for Black students. While this is a quintessential Chicago story, Ewing’s book illuminates a broader investment in neoliberal ideals that affect urban education across the country. Her interviews, conducted between January 2015 and January 2016, capture why schools are more than brick-and-mortar buildings to Black folks. “A school means the potential for stability in an unstable world, the potential for agency in the face of powerlessness, the enactment of one’s own dreams and visions for one’s own children,” she writes in chapter one. Ewing highlights that the community’s fight to stop school closures in Bronzeville sought to maintain intergenerational pride, self-actualization, and imagination. In a society that has systematically tried to limit the development and expression of these qualities in Black communities, CPS did not – and, today, does not – have the right to demolish sources of positive cultural pride in our communities. “This, we insist, is our home. Broken though it may be, it remains beautiful, and we remain children of this place. We insist on a right to claim it, to shape it, to keep it. We took the freedom train to get here. Might as well do the work to get free,” she writes in the book’s conclusion. That’s what Aunt Margie wanted for me – to understand that running toward freedom isn’t running away from the folks you left at home. Rather, it’s trusting that your ancestors have given you what you need to cultivate conditions for everyone to get free. Researchers are storytellers who craft compelling narratives about our world. Yet, there are many examples of how ‘objective’ research can become a weapon to perpetuate oppression and white supremacy in our world. In institutions that have persistently sought to devalue and erase our truths, it is a radical and necessary act to envision our whole selves, our collective legacies and histories, and our visions for the future in our work. “Ghosts in the Schoolyard” is an example of the power in research that elevates voices, perspectives and histories that often are subject to manipulation, appropriation and erasure. 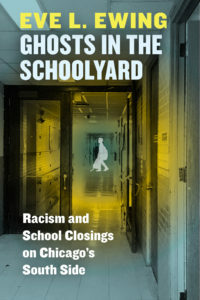 Though “Ghosts in the Schoolyard” was published earlier this month, her official book launch party is Oct. 18 from 5-7:30 PM at the Chicago Teachers Union Center at 1901 W Carroll Ave. It’s a free event with Ewing reading excerpts from the book, and a question-answer session with the author. Aireale J. Rodgers is a PhD student at the University of Southern California studying the design and implementation of equity-oriented faculty professional development programs at white serving institutions of higher education. This piece is dedicated to Aunt Margie, Grandma Flora, Grandma Mary, Mama Eva, and all the matriarchs who taught us to tell stories that matter. May we continue to transform the academy into a place worthy of our stories.